Dr. Pham and his family came to the United States as refugees from Vietnam after the Vietnam War. The family moved to northern California from Michigan when Dr. Pham was a child of one. English was a second language for him as he grew up in the Bay Area. This didn’t stop him, however, as he went on to undergraduate school at UC Davis where he received a Bachelor of Science degree in Biology with emphasis in Physiology. 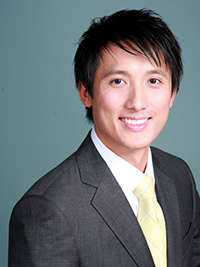 From there, Dr. Pham attended dental school at UCLA, where he graduated with his D.D.S. degree in 2005. Since then, Dr. Pham has continued to advance his dental education with additional training courses, such as the UCLA Advanced Implant Course. 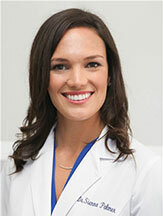 Dr. Sienna Palmer is a dentist and cosmetic dentist serving the community of Santa Monica, CA. Dr. Palmer attended the University of Southern California, where she received her dental degree. Dr. Palmer is a part of Meridien Dental. She was a part of Dental Humanitarian Outreach Group, where she orchestrated a 50 person humanitarian trip to Jamaica. The group provided comprehensive care to over 400 underserved patients. During her consultations, Dr. Palmer explains patients’ conditions and helps them choose an appropriate treatment plan. She helps patients receive the treatment they need. 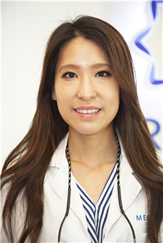 Fluent in English and Mandarin, Dr. Cecilia Wang is a dentist, looking after the locals in and around Santa Monica, CA. She graduated from the University of Nevada, Las Vegas, where she earned her dental degree. She is an active member of the American Dental Association and the American Academy of Cosmetic Dentistry. Currently practicing at Meridien Dental, Dr. Wang explains to her patients about their dental conditions and helps them practice oral hygiene. She recognizes that many patients may not be completely comfortable with visiting a dentist. Hence, she endeavors to make dental visits a low-stress experience with minimal discomfort. As a dental professional, Dr. Wang tries to stay updated on the latest advancements in dentistry to provide suitable treatment options to her patients. She understands the importance of quality care and believes in delivering high-quality dental care as well as professional patient service.